M&E Multimedia implements its multilingual systems in three new tourist trains for Santa Cruz de Tenerife. M&E keeps growing its market share on the multilingual systems business by equipping three new tourist trains for the city of Santa Cruz de Tenerife. 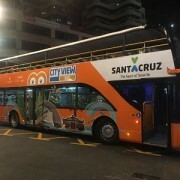 ALSA, company with international experience and local operator Sierra y Gonzalez won the public tender for operating this service in the city, and has created CityView Tenerife. This time Tenerife have chosen the M&E MTP08CM system with 16 channels to offer a complete service to the tourists who visits the island. 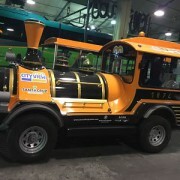 The tourist train modality has grown in recent years, offering a closer and more accessible service to certain areas that the bus cannot access. The M&E multilingual system will allow passengers to know all the information related to the city and be able to enjoy the wonderful views. New sightseeing bus tour service in Islamabad, Pakistan. The city’s first sightseeing bus service has been launched by PTDC to promote tourism and invite both local and foreign tourists to immerse themselves in the cultural and natural beauty of the twin cities of Islamabad and Rawalpindi. The fleet has 5 buses two long-chassis and three smaller models. They will initially cover Islamabad’s major sights and would later be extended to Rawalpindi and other cities of Pakistan. The bus fare includes the entry fee to all the attractions. 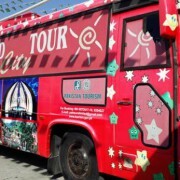 The tour aims to showcase sights including the Faisal Mosque, Pakistan’s iconic mosque and epitome of Pakistan-Saudi Arabia friendship; tourist spot Saidpur Village; the city’s hill top garden, Daman-e-Koh; Lake View Park, Islamabad’s biggest recreational park; Lok Virsa, the hub of art, culture and heritage; as well as Bird Aviary; F-9 Park; Islamabad Zoo; Pakistan Monument; and major food and shopping centres. The tour will also include the famous Ayub National Park in the historic city of Rawalpindi, while Taxila Museum will be visited on weekends. One more year, M & E exhibits its products and services in the prestigious magazine of City Sightseeing. It is a long-standing relationship between the Sevillian and the Catalan companies. City Sightseeing is one of the largest sightseeing operators worldwide, and M & E is its leading provider of multilingual systems. Currently M&E Multimedia & Engineering is growing considerably, thanks to its policy based on quality and service. As far as City Sightseeing is concerned, the company is present in more than 100 cities around the world, setting trends and boosting a brand with a lot of power and reputation. The content of the magazine always provides interesting articles about the sector, interviews with personalities and tourist institutions, as well as personal experiences. For their part they offer information for their franchisees about products and services that can improve and make their business profitable. M&E hopes to have more influence in the City Sightseeing group and its franchisees, and thus be able to offer quality solutions for them. During 2018, it will launch two new systems that will revolutionize multilingual systems and radically differentiate itself from its competitors. M&E grows around 50% in 2017 and positions itself as a leading provider of multilingual systems. M&E Multimedia & Engineering confirms the good feelings left in 2016 and grows around 50% in 2017. The company has adopted a strategy based on the quality of its products and customer service, in order to guarantee sustainable growth that has led it to expand significantly. Entering new markets and consolidating existing ones have made the company look at 2018 with enthusiasm and with new projects. 2017 leaves a good flavor, consolidating its position in front of the competition and certifying that it has an adequate strategy, where the first thing is the customers. 2018 is exciting with the arrival of new multilingual systems that revolutionize the market in a radical way. 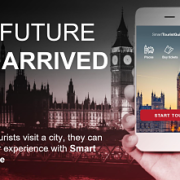 The first will be called Smart Tourist Guide and will be a new system concept that will help the operator to digitize their services and optimize their performance. The second will be aimed at markets more price-sensitive and will allow M & E to reach customers with less technological needs and more emerging. In conclusion, M&E consolidates as a leading provider in multilingual systems in the world, differentiating itself from the competition in quality and service. M&E equips the 6 new buses of Santa Cruz de Tenerife. 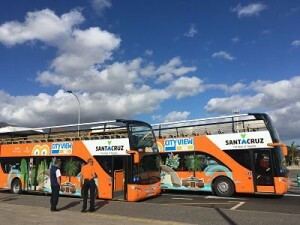 Santa Cruz de Tenerife has started to operate its new tourist bus service on the island. It is a UTE with the powerful transport company ALSA and the local operator Sierra y Gonzalez. It is an operation with 6 tourist buses, which began to circulate at the beginning of the year 2018. M&E Multimedia & Engineering has been the provider of multilingual systems for this operation. It is a new location for M & E that has consolidated its dominance position in Spain and has begun to obtain operations outside its area of influence. M&E has achieved a position of confidence as a provider of multilingual systems, with ALSA, given that the service and quality it offers is far superior to its competitors. With the new systems that will be launched on the market in 2018, M & E will become the main supplier of multilingual systems worldwide, differentiating itself from the competition in a clear and forceful way. 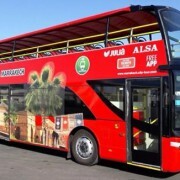 Barcelona continues to innovate in the tourism sector, this time he has presented his first hybrid sightseeing bus. 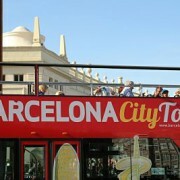 It is an initiative of the company Barcelona City Tour, owned by the powerful companies Grupo Julià and Moventia. The double-decker bus ensures very low consumption, with a very acceptable autonomy, as well as a much more relaxed driving. Unvi, the coach builder has been the manufacturer of this new tool to reduce emissions and be aligned with current environmental policies. After two years in tests, it has been proven that the vehicle allows savings of 30% in fuel consumption and CO2 emissions as well as 40% of NOx and PM emissions. As far as the multilingual system is concerned, Barcelona City Tour relies on M&E Multimedia & Engineering, to equip it with its MTP08CM system, the most quality system, as well as the most reliable. The world of the tourist bus has begun to implement the new advances in terms of the emissions of its buses, so that they will be respectful with the environment and promote sustainable mobility in the city. Four new panoramic double-decker buses have been purchased for their start-up, which as a novelty are 100% electric and therefore do not generate emissions, thus adapting to the city’s environmental demands. The service is expected to be used by more than 90,000 tourists a year. For its start-up, the UTE formed by Grupo Julià and ALSA has invested 1.8 million euros and created 20 direct and 200 indirect jobs. ALSA has been present in Marrakech since 1999, managing urban transport and, subsequently, also that of its metropolitan area. In 2005, it launched the first tourist bus service in the city. Grupo Julià is one of the main Spanish business groups specializing in global tourism and mobility services, and through its City Tour Worldwide division it has positioned itself as the second international tourist bus operator with a total displacement of more than four million passengers in 2016. 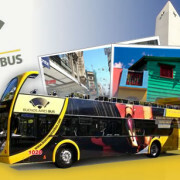 Sightseeing bus of Buenos Aires transported 1,010,763 passengers between 2013 and 2017. The intention of the tourism authorities is to recover this year the almost 60,000 passengers that were lost in 2015 and 2016, when it had 225,642 and 221,633, respectively, against the 289,518 in 2013 and the 295,509 in 2014, the best year so far. In the last year, 79.96% of tourists surveyed were foreigners, while the rest, 20.04%, Argentines. Among the Argentines who traveled on the bus, 53% were women and 46% were men, while among foreigners the proportion was exactly the reverse: 46% women and 53% men. 67.79% of national tourists did not use mobile phone applications to access tourist information and, on the other hand, more than half of foreigners did use it, 50.48%. The bus, which has an autoguide, stops strategically to connect with other activities. The cost of the 24-hour ride for a foreign tourist over 12 years is 480 pesos, while for the 48-hour ride the price amounts to 650 pesos. The electric double decker bus opens the new era in sustainable tourism. The dynamism of new technologies makes society grow at a faster rate than in the past. That is why cities have to adapt to this reality and offer services that are in line with these advances. The tourism sector is not exempt from these novelties and sees as year by year it specializes more the offer and it becomes more competitive the market. Sustainable tourism is another twist in a sector where differentiation is the key to achieving good returns. 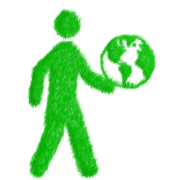 One of the main values of today is corporate responsibility in relation to the environment. Sustainable tourism will be the tourism of the future. Improving the coexistence of society through respect for the environment are measures that municipalities and governments mark as indispensable for a near future. That’s why there are companies, Paris l’Open Tour mostly, which have already been put in place to meet the requirements have bought the first electric tour bus in the world, with the intention that before 2024 their entire fleet is composed of these types of buses. This is very important news because it can be the example to be followed by many other companies (TMB Barcelona, City Tour, Citysightseeing) and consolidate the new era of the electric tourist bus. Tourism is booming in the UK with nearly 40 million overseas people expected to have visited the country during 2017. Tourist promotion agency VisitBritain forecasts overseas trips to the UK will increase 6% to 39.7 million with spending up 14% to £25.7bn this year. The UK has become a cheaper place to visit for tourists from overseas following the fall in the value of the pound since the Brexit vote last year. Britons are also holidaying at home in record numbers. National tourism was worth £127bn annually to the economy. 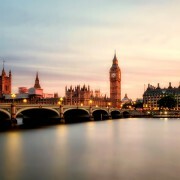 During the first six months of the year there were a record 23.1 million overseas visits to the UK – up 8% on the same period in 2016 – and the figures for July topped four million for the first time, with only a slightly smaller number of visits made during August. This shows that at the moment the Brexit is not working in tourism levels, although it may be that in a future United Kingdom will have to rethink its tourism model given the limitations that may give rise to its new situation in the world.